Another 15-year-old teenager got arrested from the land of cakes, Scotland, by British Police for breaking into the FBI Systems on 16th February. Under the Britain’s anti-hacking law, Computer Misuse Act 1990, the boy has been arrested for his role in hacking and unauthorized access to the digital material. Federal Agents had fled to Glasgow in an attempt to carry out a raid on his home before proceeding with the boy's arrest. "He has since been released and is the subject of a report to the procurator fiscal," a Police Spokesman told a Scottish journal. As with the present scenario, reports say that the boy could be extradited to the United States to face the Intrusion and hacking charges. The suspect is believed to be an active member of the notorious hacking group called "Crackas with Attitude" aka "CWA", Motherboard confirms. Another member of the same group got arrested from the United Kingdom last week. 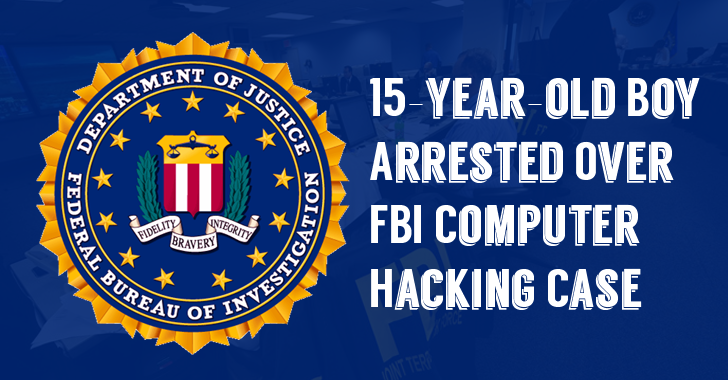 The 16-year-old British teenager was suspected of hacking into the CIA and the FBI confidential. Leaked the personal and sensitive details of tens of thousands of FBI agents and the US Department of Homeland Security (DHS) employees. Hacked into AOL emails of CIA director John Brennan. Hacked into the personal phone accounts and emails of the US spy chief James Clapper. Broke into AOL emails of the FBI Deputy Director Mark Giuliano. 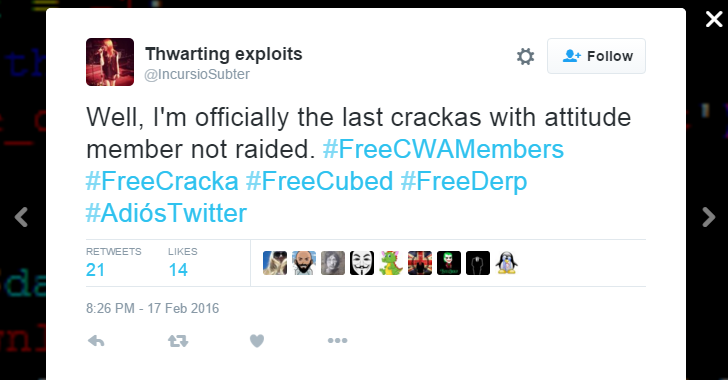 Additionally, it is assumed that only one more member (with a pseudonym "Thwarting Exploits") has been left in the CWA group to get busted, as this got evident from his tweet finalizing the fact that it is a the third member of the group. Nowadays, the amateurish approach of teenage hackers are hunting down the world's greatest Crime solvers such as FBI and CIA. The busted cyber criminals are liable to spend their rest of the life behind bars. The cyber laws are strict enough; that it would eat up your whole life years and even beyond your lifetime sometimes.